An order said Fan would have to pay a total of $129 million in owed taxes, fines and penalties and would avoid prosecution if she meets a repayment deadline. Fan Bingbing featured in the 2014 blockbuster "X-Men: Days of Future Past." 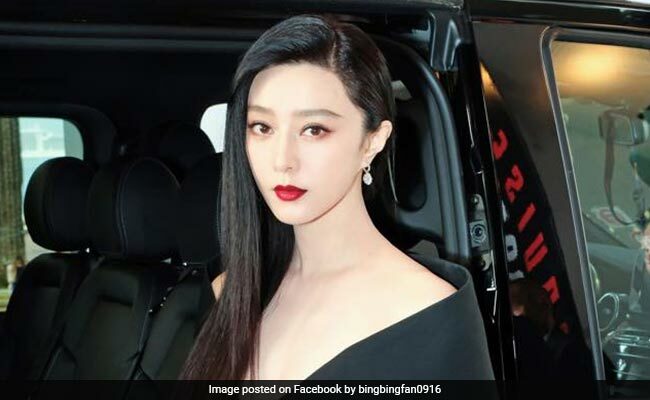 Chinese superstar Fan Bingbing took to social media for the first time in months Wednesday to apologise to fans and the Communist Party for tax evasion, shortly after news broke that authorities had ordered her to pay nearly $130 million in back taxes and fines. The 36-year-old actress, model and producer had been a ubiquitous household name in China for years and tasted Hollywood success with a role in the 2014 blockbuster "X-Men: Days of Future Past." But she disappeared from the public eye and her once active social media presence went silent in May after allegations emerged that she had evaded taxes on a lucrative movie shoot, charges her studio called "slander". Her sudden absence from screens and advertisements across the country spurred rumors that she had been snatched by officials at a time when Beijing is cracking down on what it views as excesses in the film and television industry. The report said Fan would have to pay a total of 883 million yuan ($129 million) in owed taxes, fines and penalties, adding that she would avoid criminal prosecution as long as she met a repayment deadline. At least one other person implicated in the probe has been detained for further investigation related to concealing and "deliberately destroying" accounting documents, Xinhua added without detailing that person's identity. Fan took to China's Twitter-like Weibo on Wednesday to acknowledge her wrongs, beg for her supporters' forgiveness, and apologise to "society, the friends who care about me, the public and the national tax authorities." "Without the Party and country's good policies, without the loving attention of the masses, there would be no Fan Bingbing," she wrote. Fan's troubles began in May soon after she appeared on the red carpet at Cannes film festival when a former presenter for state-run China Central Television (CCTV) posted a purported movie shoot contract. The documents suggested Fan was officially paid 10 million yuan ($1.45 million) for a project while unofficially receiving an additional 50 million yuan -- all for four days of work. So-called "yin and yang" dual contract arrangements -- with one contract for income declared to tax authorities while the other is kept secret -- are reported to be used in China to evade taxes. Last year, Fan topped Forbes magazine's list of top-earning Chinese celebrities with income of 300 million yuan ($43 million). She is one of five leading international actresses cast in the forthcoming Hollywood spy thriller "355", alongside Jessica Chastain and Penelope Cruz. A recent report by academics listing the "social ranking" of Chinese celebrities placed Fan at the very bottom with a score of zero. The study was widely carried by Chinese state media.